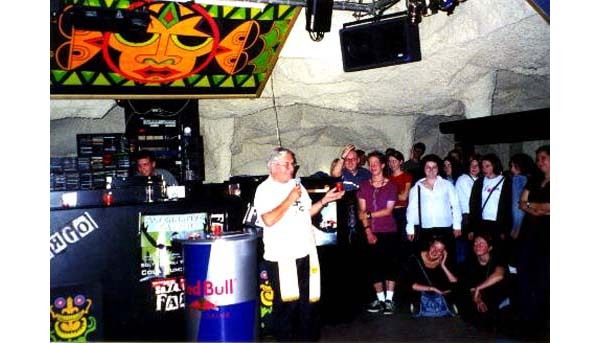 Above, the priest delivers his homily during a Mass at a discotheque in Eisenstadt, Austria. The nightclub was borrowed for the occasion so the youth could be at ease in their place of entertainment and... perdition. 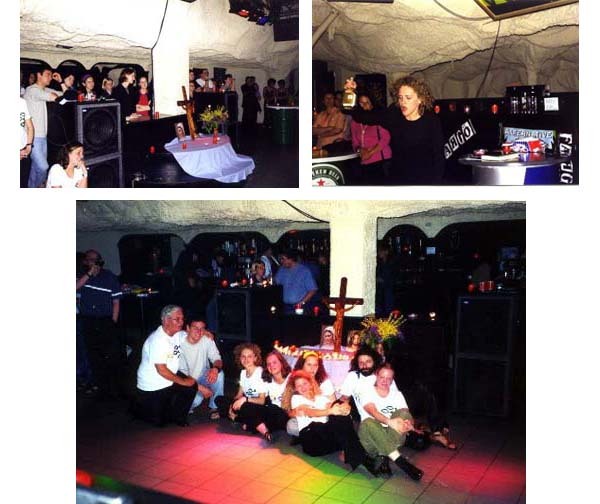 Instead of inviting them to change their lives to follow the narrow path of Our Lord Jesus Christ through the practice of Catholic principles, the priest desecrates the Holy Mass by bringing it to a nightclub. Here is another fruit of the adaptation of the Church to the modern world - the aggiornamento preached by Vatican II. Below first row, two close-ups of attendees. Second row, the priest fraternizes with some of the youth under the disco lights.